Have you ever wondered why you don’t feel tired until late at night but your spouse is fast asleep at 10 p.m. and wakes spontaneously at 6 a.m.? We each have an internal biological clock, called a circadian clock, that organizes the internal and external activities of our body around the 24-hour day. While these clocks can be influenced by exposure to sunlight and electric light, for instance, our genes also play a role in how they function. That’s part of the reason that sleep and wake habits can vary from individual to individual. And that may also explain why certain chronotherapies, which help change the timing of the circadian clock, such as light boxes and taking the natural hormone melatonin as a supplement, vary in dose and effectiveness from person to person. Circadian clocks are found in individual cells of our body. My research team at the University of Notre Dame is teasing apart the molecular mechanisms of these cellular clocks, looking at how genes and the proteins they produce control the multitude of 24-hour rhythms in our bodily functions. We think that an improved understanding of the circadian system, from genes through to physiology and behavior, will allow for the development of new and improved chronotherapies. How do circadian clocks work? At least 15 genes are thought to make up the cogs of the circadian clock mechanism. Natural genetic variations in these components can result in profound differences in circadian clocks from person to person. This is why some people have a short circadian clock cycle length or a long cycle length, and why some people are early birds and others are night owls. Some of these genes and the proteins they produce form a series of interacting molecular pathways that then loop back on one another. The temporal pattern of genes being switched on and off starts afresh once every 24 hours, giving us a near perfect daily clock. Circadian clocks do more than tell us when to feel sleepy and when to wake up. They are found in almost all organ systems of our body, such as in the brain, heart and liver. The clocks then modify cellular processes across the day that are specific to each tissue. 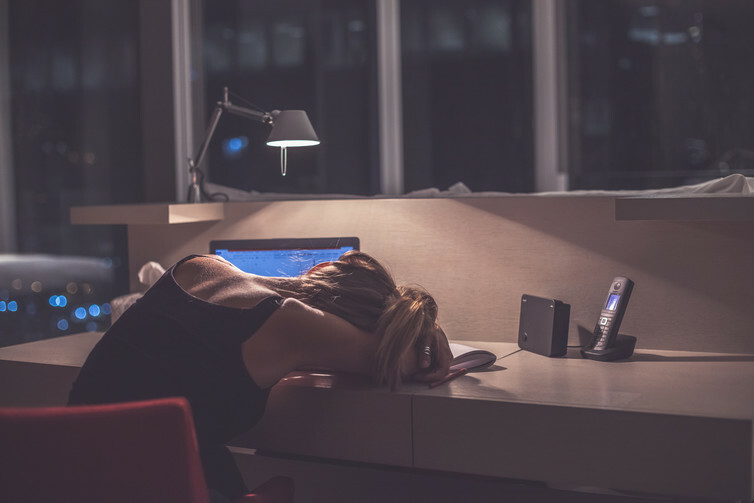 When these organ systems are not in sync with one another, which can occur during shift work and jet lag, it can contribute to health problems. Out of sync. 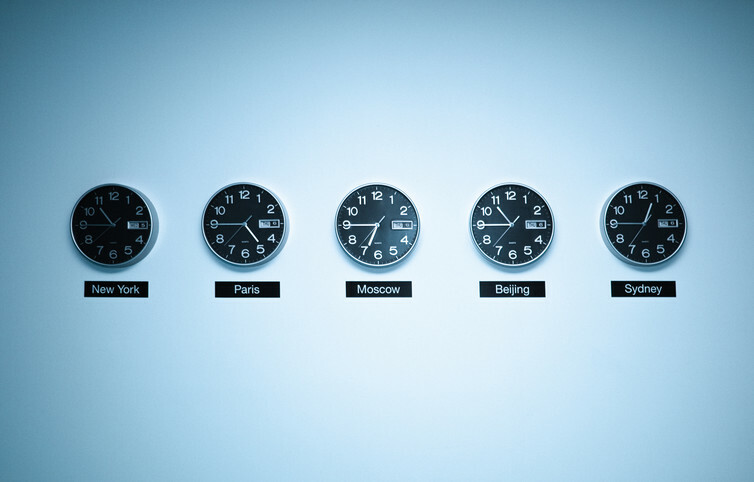 Clocks image via www.shutterstock.com. The clock in the liver, for example, controls many of the biological processes involved in the storage and release of energy molecules. The circadian rhythms in these cells are in tune with other organ systems in the body, such as fat cells and the brain. Much of the function of the liver is given over to storing food molecules when they are in abundance, such as when we have just eaten a meal. The liver then mobilizes nutrients when we are fasting while we sleep. If you eat in the middle of night, for example, that can throw off the body’s processes for storing these nutrients appropriately. Shift work and jet lag can result in metabolic problems because the timing of processes between organ systems is no longer correctly coordinated, and timing between those systems and the external environment is disrupted. The long-term ramifications of such poor coordination between our internal clocks and the external environment can result in the development of abnormal physiology, and ultimately disorders such as obesity and diabetes. In fact, the incidence of cardiovascular and metabolic disease, obesity and diabetes is elevated in shift workers, who account for about 15 percent of the work force. Getting all of these processes on the same temporal track and in sync with the time zone you are functioning in is the key. So looking at the genes that play a role in how these clocks work can help us understand how they stay in sync. Gaining a better sense of what genes are involved in regulating these circadian clocks could put us on a path to find better treatments and therapies to help people adjust to time shifts. Our lab in collaboration with the University of Oxford and Hoffmann-La Roche has identified a new biological pathway involved in resetting the circadian clock, which was published in the journal Cell. We have found that preventing a gene called SIK1 from being expressed or inactivating the protein it produces can ease the effects of jet lag. This is a remarkable finding because it reveals a new biological pathway that controls the clock resetting mechanism and because the protein that SIK1 expresses is a kinase enzyme. Protein kinases form one of the most common classes of drug targets, which makes the SIK1 protein an attractive target for pharmacological manipulation. In animals we have found that the absence of ID2 disrupts the normal cycle of feeding, and makes the animals both lean and super-sensitized to insulin. This suggests that ID2 could be an important therapeutic target for resetting circadian clocks as well as controlling metabolic disorders, such as obesity and diabetes. Animals that are missing the ID2 gene are also highly responsive to resetting of the clock by light. Instead of taking a week to adjust to a new time zone, they adapt in one to two days. Both ID2 and SIK1 appear to function as natural brakes on the resetting mechanism of the clock, and in principle could one day be drug targets for adjusting our biological rhythms. Bright light at night can shift our clocks in the wrong direction. Exhausted woman image via www.shutterstock.com. While this research is promising, treatments using this research are probably still some time off. In the meantime, there are a few things you can do to help keep your internal clocks in sync and on track, and adjust to disruptions more quickly. Chronotherapies, like timed exposure to light and taking melatonin supplements, can help change the timing of the circadian clock. These methods can prevent or reduce the problems that jet lag or shift work can cause, and assist in the treatment of seasonal affective disorder. Because the light of dawn resets our body clock and keeps us in sync with the outside world, getting a good dose of morning light is critical. Waking in pitch darkness and driving to work in the dark does not help. Just because it says 7 a.m. on the alarm clock does not mean it is 7 a.m. in your body. Exposure to bright light at night, including that emitted from electronic gadgets, can shift your biological clock in the wrong direction, making it even harder to get up the next day. Some of us are fighting our physiology every day. Keeping yourself on a fixed routine of going to sleep at the same time can also be beneficial. The author of this article is Giles E. Duffield, Associate Professor in Biological Sciences, University of Notre Dame. This article was originally published in The Conversation under a Creative Commons Attribution No Derivatives license. Read the original article here. If you would like to purchase a print or e-copy of the book, visit the Elsevier Store. Apply Discount Code STC215 and save up to 30% off the list price and free global shipping. If you would like to read additional chapters online, please visit ScienceDirect.